With the weather improving, I have already been down to my allotment to plant out my broad bean plants that I have had germinating in the greenhouse over the winter, and my onion sets and early seed potatoes are also ready for planting. The allotment season for summer 2014 is now underway! But it was back in November last year that I blogged an advanced notice about a new BBC Two show that has all the ingredients to become 'The Great British Garden Off''. Well, it starts in May! 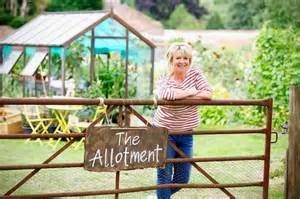 ''Grow, Make, Eat - The Big Allotment Challenge'', they say, will tap into the nation's love of growing its own produce and will create another TV rating hit. The world of gardening is, of course, hoping that this new show will give the industry a major boost, after the so called Bake Off surge in sales of baking products. They hope that it will make a garden boom time, like that witnessed when the 'Ground Force' team led by Alan Titchmarsh came onto our TV screen some years ago. The BBC has already spent money on setting up this new show and for the past six months, in a secluded walled garden in Oxfordshire, nine pairs of green-fingered chosen ones have been beavering away. 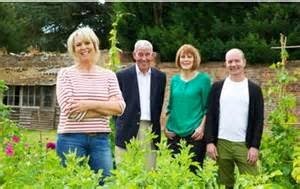 The show will focus on an idea of kitchen gardeners who cook their own produce and the nine gardening couples will go head to head each week. They face three challengers each week to test their horticultural knowledge, creativity and culinary skills and tests will include flower-arranging and jam making. Fern Britton will present the new show with James Buttress, a Royal Horticultural Society judge being cast as the 'Paul Hollywood' type. The difficulties with his concept however, are numerous. Firstly, while you can bake something in an hour, with gardening it takes weeks and months to grow something. (Bring out the 'fast forward' machine!). 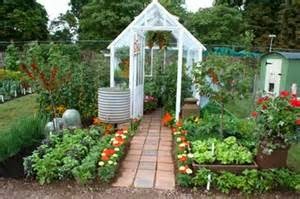 Secondly, while a boom in grow-your-own has been fuelled by celebrity chefs, Jamie Oliver, Nigel Slater and Hugh Fearnley-Whittingstall, bad weather can have a disillusioning effect upon those people who have taken on allotments to emulate their cooking hero's, when they cannot emulate the success the TV gardens promised. I am in my fifth year as an allotment holder and last year's bad weather had a major impact upon the produce I could bring to the kitchen on a regular basis. Finally though, while this new show may further increase the already high demand for allotments, few realise how much time, effort and skill you need to look after your plot. Oliver has a head gardener and Fearnley-Whittinstall a team of horticulturalists. It is not the same for the rest of us. A young couple have recently taken on the plot next to mine and while they seemed initially quite keen, with daily visits to clear and weed, they have now covered their ground with plastic sheet and have not yet appeared after the winter. The Real Food Inspector meanwhile has dug over the soil and started planting. Don't get me wrong, allotments remain highly sought after, with 80,000 people in England on a waiting list. 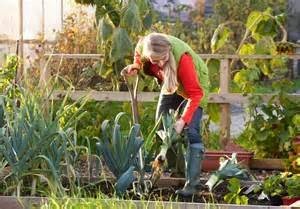 The National Vegetable Society report a vast increase in the numbers of people growing their own veg in the last five years and that this is continuing to rise due to greater awareness of food miles and carbon footprints. You can only imagine how good broad beans, freshly picked 20 minutes before cooking will taste, unless you grow and cook your own. Producing delicious additive-free food which can also reduce your shopping bill can only benefit us all and the planet. And it is 'Real Food'!